Star Wars actor John Boyega says he is a big fan of Wizkid’s music. The Nigerian-British actor made the revelation during an interview on MTV Base with VJ Ehiz. It happens that Wizkid’s 2016 hit ‘Daddy Yo‘ was included as a soundtrack for the Hollywood action movie ‘Pacific Rim: Uprising‘ which would premiered in March this year. 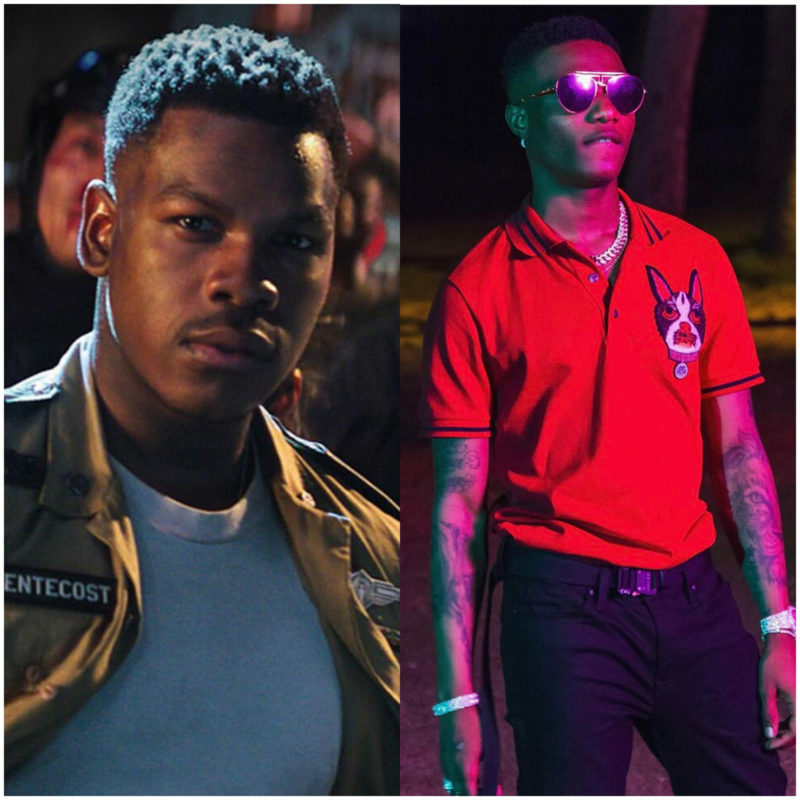 When asked why he included the song as part of the movie sound track Boyega noted that he has been a fan of Wizkid’s music from way back. And that he loves to enjoy some good Afrobeat music. He also added that ‘Daddy Yo’ suited his character moment it was used in the movie. Listen to John and Ehiz talk.